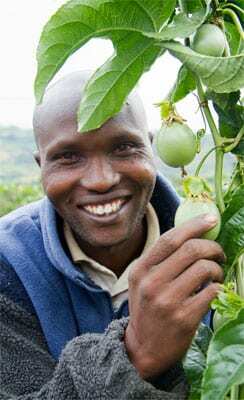 The 54-member farming cooperative began working with TechnoServe in August 2010 to improve their business skills and diversify into a new market opportunity: purple passion fruit. With TechnoServe’s assistance, Tiret Self-Help Group built a passion fruit nursery and sowed the first seeds in December 2010. As the first vines begin to bear fruit, the farmers recognize that passion fruit can bring newfound prosperity to their community. 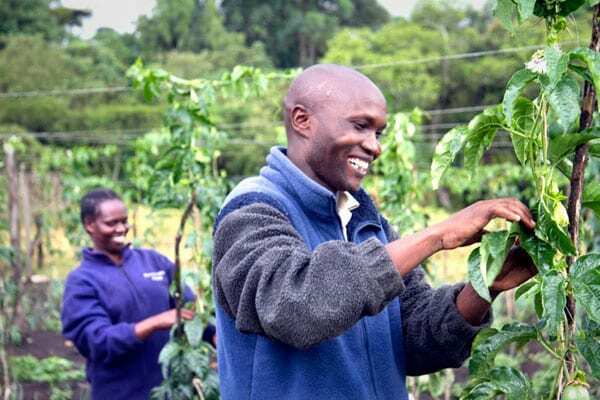 Thousands of farmers have the potential to capitalize on a similar opportunity thanks to Project Nurture, a partnership with The Coca-Cola Company and the Bill & Melinda Gates Foundation. 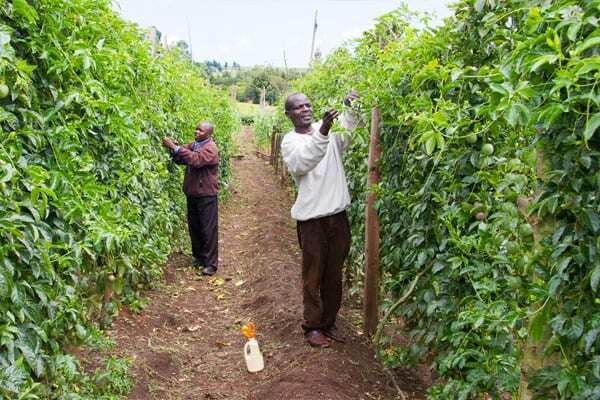 Project Nurture aims to double the fruit incomes of more than 50,000 small-scale mango and passion fruit farmers in Kenya and Uganda. 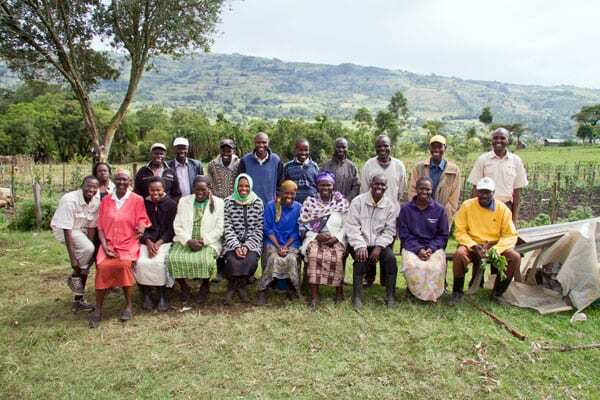 Since launching in 2010, the program has laid the groundwork for a thriving, sustainable industry that can help farming families lift themselves out of poverty. TechnoServe advisors are helping farmers to increase their productivity and create new market opportunities for their fruit. This work begins with forming or strengthening farmer business groups, which allow dozens of farmers to sell their fruit collectively and improve their bargaining power. Through the business groups, TechnoServe facilitates training sessions for farmers on key skills. 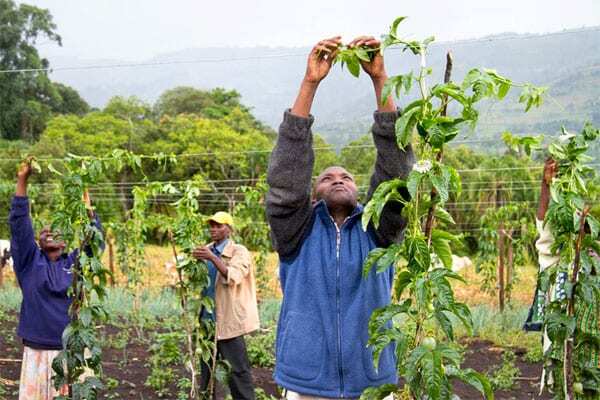 Many of these trainings take place on demo plots, where farmers receive hands-on experience in preparing the land, planting trees or vines, controlling pests and diseases, managing the soil and harvesting the fruit. 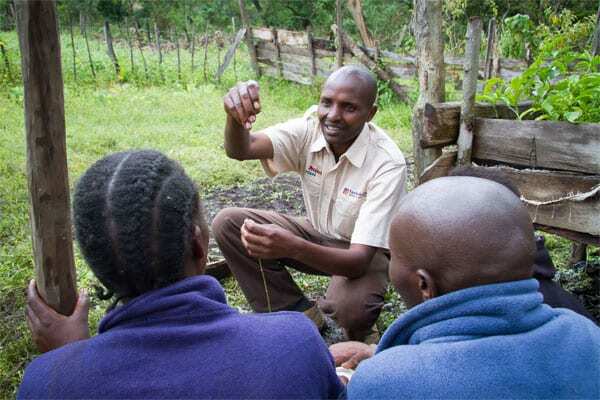 TechnoServe advisors also provide business training for the farmer business groups so that they can interact with buyers as equals and create more income for their members. 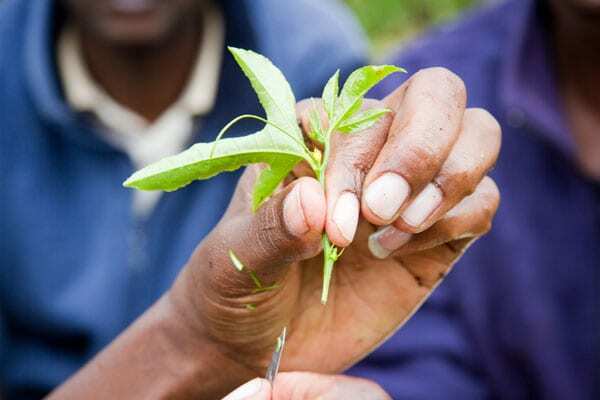 At the same time, TechnoServe is analyzing the market opportunities for mango and passion fruit and helping to build relationships between buyers and farmer groups. Most of the fruit in Kenya and Uganda is sold in local markets, but processors and export markets represent key opportunities for growth. In Kenya, for example, TechnoServe has worked closely with a seasoned exporter to facilitate the sale of 800 metric tons of mango during the current growing season. These export volumes are likely to grow in coming seasons. TechnoServe advisors also are assisting local juice processors to make improvements that will help them be competitive globally. 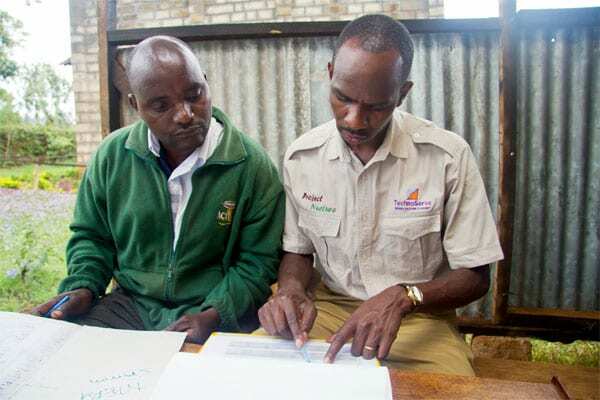 Through Project Nurture, TechnoServe is working with financial institutions to offer better access to credit for farmers. These loans can help smallholders invest in their farms and take advantage of a market opportunity for their fruit. 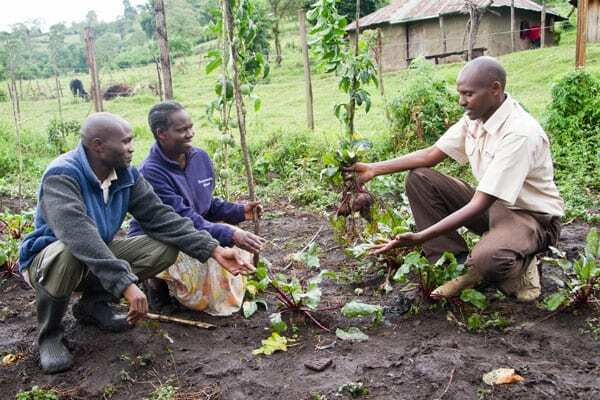 For some farmers, like those of the Tiret Self-Help Group, this means introducing a new crop. For others, it means finding new value in a product they had taken for granted. In eastern Uganda, for example, buyers always considered the local variety of mango, the Sena, to be too low-quality for pulping and juicing. As a result, farmers never cultivated mangoes as a cash crop. TechnoServe helped demonstrate to buyers that the Sena, in fact, produced sweet-tasting juice with a rich color. One major buyer invested in a new piece of equipment to process the Sena variety. At the same time, TechnoServe advisors helped farmers in the area to improve the quality of their production. With a market now available for their mangoes, the farmers discovered a new source of income – and a new investment for their future.